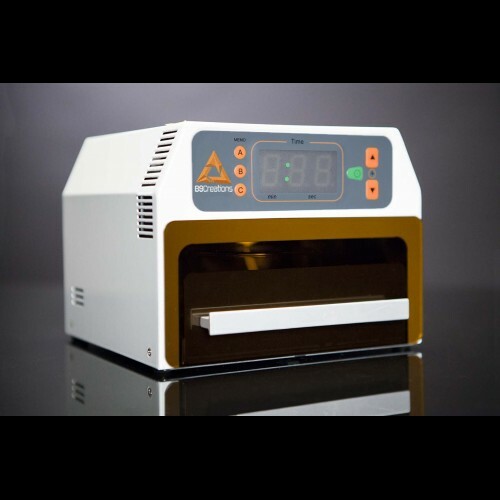 Due to the wide variation in curing wavelength, resin formulation, and curing settings associated with third-party resins and printers, B9Creations can only guarantee the effectiveness of the B9 Model Cure when using the B9 Resin Line with B9Creations Printers. The B9Creator v1.2 arrives as a complete unit, ready to calibrate and print. The B9Creator v1.2 has ..